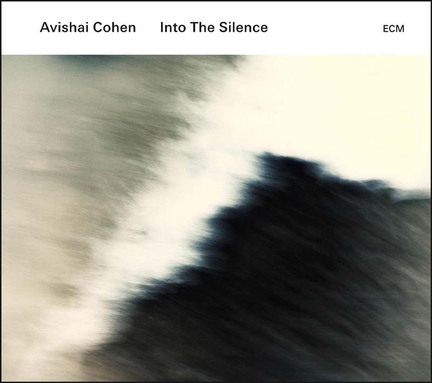 Trumpeter Avishai Cohen’s beautiful, elegiac Into the Silence is a tribute to his late father, who died in 2014. Lesser life changes of a musical nature are also involved: It is his first recording as a leader for ECM (a switch from sister Anat’s Anzic label), Cohen’s playing on Mark Turner’s Lathe of Heaven having impressed ECM chief Manfred Eicher, who produced the new album (a role Cohen had typically performed himself). Cohen assembled a new quintet for the project, and the music is more composed and introspective-the title track, in particular, began as a piano figure that came to Cohen upon his father’s death-than his looser, more improvisational pieces for his Triveni trio. Cohen was not unfamiliar with his new bandmates. He has known pianist Yonathan Avishai since childhood, and worked with him in the collaborative quartet Third World Love. Drummer Nasheet Waits is a member of Triveni. Bassist Eric Revis is in the trio Tarbaby with Waits, and has subbed for Omer Avital on Triveni dates. Bill McHenry, who plays tenor sax on four of the six tracks, had worked with though not yet recorded with Cohen. But the five of them sound like they’ve been playing together forever.